Brenda Coffey’s grandmother was secretary of the Progressive Action Committee organized to make Kure Beach a town. 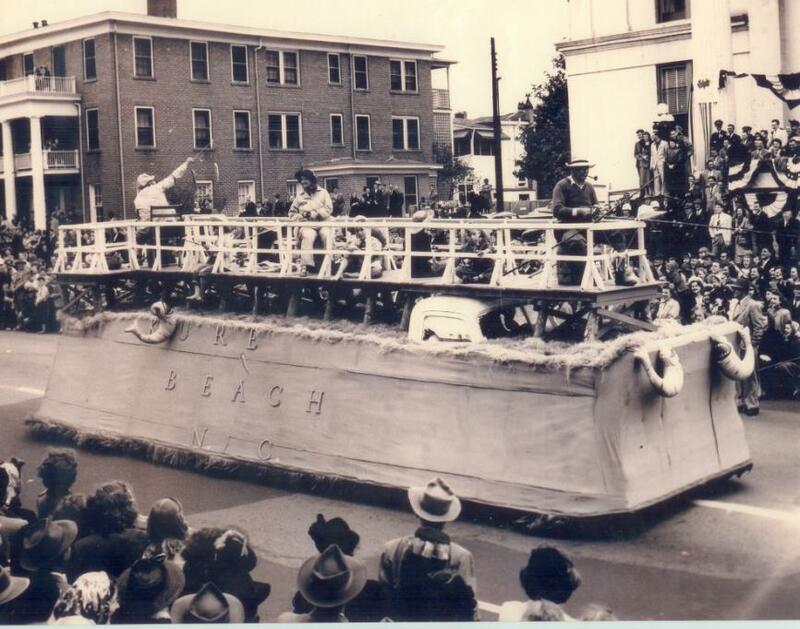 In 1947 when Kure Beach was incorporated they entered a Fishing Float in the First Azalea Parade in Wilmington. (see picture below). Brenda’s grandmother (Ma Fry) is in the middle with the fishing bonnet. Brenda’s grandfather (Pa Fry) is on the back waving. The picture shows the little children that were on the float – probably both of Margaret Ford’s boys and Doris Stathus. Brenda had the mumps and couldn’t go. The fish balloons hanging over the side were put on the float to look like they were catching fish. Kure’s Beach’s Fishing Float in the First Azalea Parade in Wilmington. In April 2007 Kure Beach celebrated 60 years. 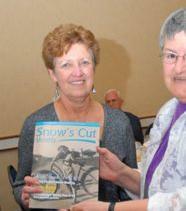 Brenda’s picture was shown on the cover of Snow’s Cut Monthly (April 2007). The picture (at the right) shows Brenda holding a copy of the Snow’s Cut Monthly – looking to the future. The picture was taken in the middle of 3rd Street in front of 109 S. 3rd. To the right is a house that the Fordham’s lived in (this is where Big Daddy’s is located now). The street was dirt. To the left is the house that Brenda’s parents briefly rented while their “barracks” was being remodeled. That house is still standing. On April 4, 2007, the Island Gazette also featured Brenda’s story growing up at Kure Beach and the story of her family.